Donald has been slinging the guitar around Tidewater for better than 35 years. He is one of the most articulate guitar players in town...Try to watch his fingers and keep up......Not! Donald Coward (Full Throttle's founder) was born and raised in Norfolk, Virginia. He married Sherri in 1973, raised their two daughters, and is now enjoying his three grandchildren in Norfolk. He grew up on Burksdale Road where he taught himself to play the guitar at the age of 10. He and his twin, Ronald (who played drums), started a band they called Merical Sound. The band played all over Tidwater in civilian, as well as, military clubs, carted by an old converted school bus. They played Crossroads School, fraternity parties at William & Mary, along with outdoor concerts at Buckroe Beach in Hampton. 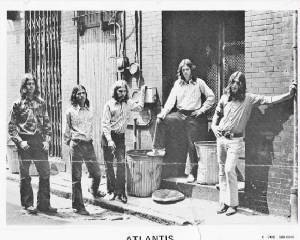 Somewhere along the line they changed the band name to Atlantis. 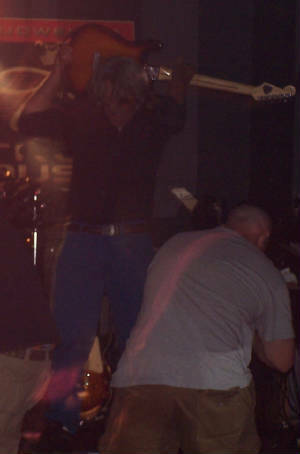 After years of playing together, the band split and Donald began playing with other local bands, which included a group playing the Holiday Inn circuit. Donald was introduced to bass fishing by a good friend, and decided to pick up the fishing pole (in place of his guitar) and fish tournaments for a few years with a local bass club. Thereafter, following years of working in Richmond during the week, Donald requested a transfer back to working in Tidewater. Soon to follow, came his desire to begin a band - one that would play the stuff from the 60's, 70's, and 80's, as well as new pieces. His family and career keep Donald focused and grounded in Norfolk where he hopes to be a part of keeping great classic hard rock alive! Donald's greatest influences are Hendrix and Stevie Ray Vaughn. Donald is pictured here with the former legendary band, Atlantis. He is the furthest right (his twin, 2nd from left).